If you’re looking for a peaceful getaway, with the finest Greek hospitality and mesmerising sea views, look no further than the Elounda Mare Hotel. Boasting an idyllic coastal location, this luxury property is ideal for a special romantic retreat, dream honeymoon or an unforgettable family holiday. 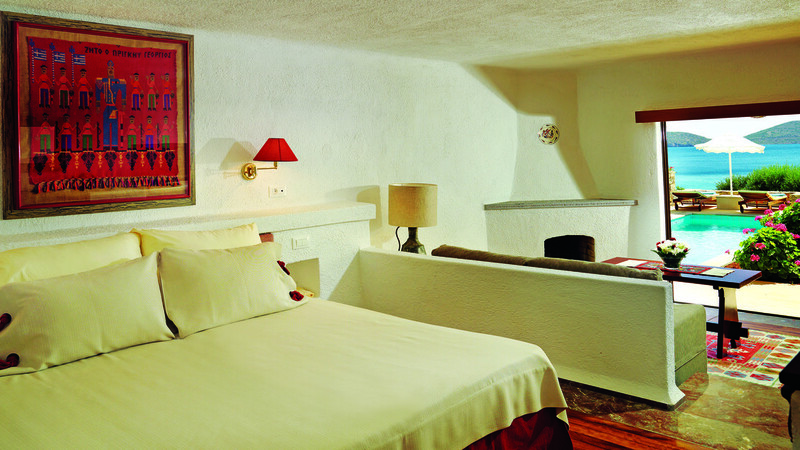 Each accommodation type is unique. 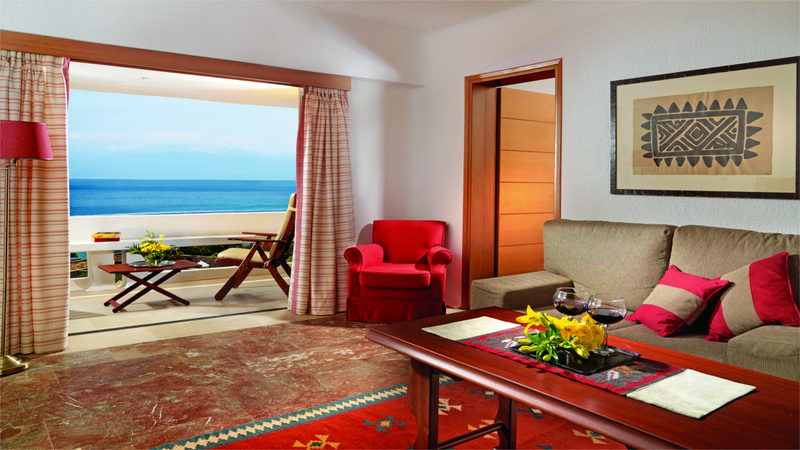 Choose from stylish individually-designed bungalows, elegant royal suites, or twin rooms with magnificent views. There’s a blissful laid-back ambience throughout the hotel, making it the perfect place to relax and unwind. Sit back on a sun lounger and soak in the healing warmth of the sun, before taking a dip in the crystal-clear waters of the Aegean Sea. Dining here is a delight; with an award-winning restaurant superbly positioned in the stunning gardens as a highlight. The nearby sister hotel enjoys a plethora of facilities - so if you do fancy getting active during your stay you won’t have far to go. A luxury holiday in Greece doesn’t get much better than this! The Elounda Mare Hotel has a private blue flag sandy beach. This hotel shares facilities with a sister resort, the Porto Elounda Golf and Spa, and there’s a free shuttle service available between the properties. Alternatively, the centre of Elounda is approximately 2km away from the Elounda Mare Hotel, with numerous shops, bars and restaurants to explore. A visit to the island of Spinalonga is also nearby, about 12km north along the coast. Heraklion International Airport is the closest, approximately 66km away. Chania Airport is approximately 214km. 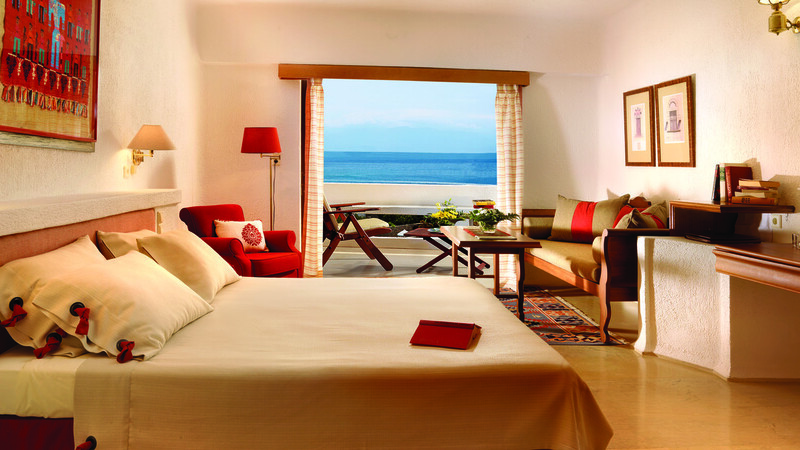 The Elounda Mare Hotel shares facilities with sister hotel, the Porto Elounda Golf and Spa Resort. A shuttle bus is available to take you between the properties.